Ruth Westcott considers this weeks news of a 'bolstered' Fishing Bill: If Government is serious about fairness, it's time to rethink quota allocation, rebuild stocks as quickly as possible, and make fishing fairer. But well done on funding. 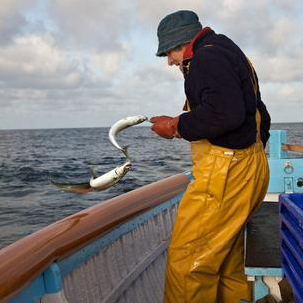 Michael Gove announced today that the Government is to add an amendment to the Fishing Bill. This would introduce a duty on the Secretary of State or the equivalent in devolved administrations to ‘pursue a fairer share of fishing opportunities than the UK currently receives’ in all future negotiations over fishing rights with the EU. This is a worthy ambition, and Sustain welcomes this stated commitment from Michael Gove to a fairer deal for fishers and to amendments to the Bill that put duties on future Secretaries of State, rather than just vague powers. Whether or not Michael Gove can achieve a greater share of fishing opportunities for the UK will be dependent upon whether other EU states, and/or Iceland and Norway, agree to catch less, so the realisation of this ambition is far from certain. It is also far from clear what ‘pursue’ involves. Could this be meetings with other countries’ ministers? Or ministerial attendance at negotiations? We just don’t know. Commit to re-building stocks in the shortest time possible, which would allow us to increase catches by 40% and create thousands of new jobs. Agree to create a new system for allocating the UK’s share of quota, in order that, instead of allowing quota to be bought-up by large multinational companies, smaller scale fleets could be supported (which generates more jobs per tonne of fish caught), and sustainable fishing rewarded with extra quota. This could be done now, regardless of the outcome of Brexit negotiations. Add in a fair dealing clause – there is a clause written in to the Agriculture Bill to protect producers (ie farmers) from unfair practices by businesses in the supply chain like cancelling orders at the last minute. There’s no such clause in the Fishing Bill, which is unfair. It is encouraging to see the Government keen to strengthen duties in the Bill. Sustain agrees with Greener UK that the Bill needs to set out more legal duties on the Secretary of State if it is to be effective. Greener UK are calling for, at the very least, a legal duty to fish at sustainable levels by 2020 (which is necessary to ensure the promised maintenance of EU environmental standards after Brexit, and to meet the UN Sustainable Development Goals). On funding, Sustain has been calling for clarity on future funding arrangements since the referendum, emphasising how important the European Maritime and Fisheries Fund (EMFF) has been for improving fishing boats, sustainability measures, safety and better technology, and improving the market for sustainable fish. So, we are pleased that Michael Gove today announced that such a fund would be set up to commence when the EMFF closes in 2020, with the amount of funding to be announced in the 2019 budget. Sustain has suggested a number of amendments that would make the Fishing Bill achieve its aims of sustainability, fairness, and rebuilding fishing communities better. Ruth co-ordinates Sustainable Fish City, a campaign which encourages businesses to adopt a fully sustainable fish policy, and thereby help transform the way the world's oceans are fished. The campaign began in London, inspired by the Food Vision of the London 2012 Olympic and Paralympic Games, and is now being adopted by cities across the UK.